How long have you been working At The Greenbank? 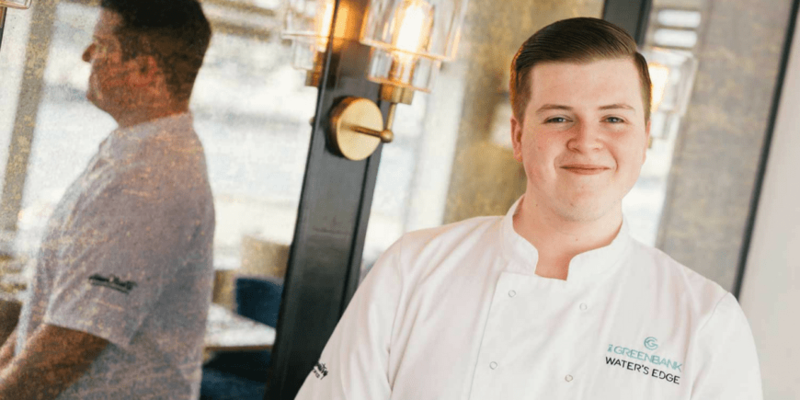 I started at The Greenbank Hotel during a work experience placement that I had to do as part of my studies at school. I loved it so much that I’ve now been working in the kitchen for six years! My nan. She used to babysit me a lot when I was growing up and we always cooked together. She taught me so many great recipes. I’ve always had a passion for pastry. I am interested in other areas but it’s always shone out. It’s got to be lime and chocolate. You just can’t beat those flavour combinations. We have our very own “pastry bible” in the kitchen full of recipes that we’ve tried and want to experiment with. It’s a great book to have when trying to source inspiration. Cinnamon. It’s a sweet, woody fragrance and the perfect partner for chocolate. 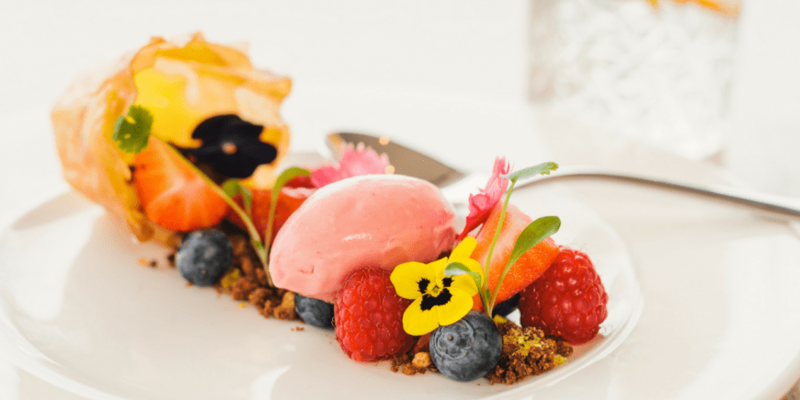 What was your inspiration for the new Greenbank GardenS dessert? I take inspiration from everywhere around me. A few weeks back I was walking along the harbourside on the way to The Greenbank and saw a turned-over flower pot, which got me thinking of ways in which to incorporate that into a dish. That’s when my Greenbank Gardens dessert started to take form. Why do the flavours work well? The citrus flavour from the lemon curd and chocolate crumb are a fantastic combination once put together. It hits the palate all at once: sharp and tangy. This dessert is a very colourful dish, making it stand out from afar. The edible flowers are something that always wow our diners too. Shape the filo pastry into cups using a cupcake tin to hold the shape and lightly cover with butter. Bake for 10-15 minutes or until golden brown. Allow to cool before removing your baked cups from the tin. Place your home-made lemon curd at the bottom of each cup (see recipe for the lemon curd below). Place the cup on its side to give the effect of a turned-over pot. Sprinkle the chocolate crumb (see recipe for this below) alongside the rest of the plate, adding your seasonal berries and edible flowers to finish. Place all the ingredients in a heavy bottom pan and slowly bring to the boil whilst whisking. Blitz the digestives to a crumb. Melt the chocolate together with the butter. Add the golden syrup to the melted chocolate and then follow with the digestives to finish.